For the past few weeks we’ve been publishing profiles of recent OVAC grant recipients. See the series here. Highlighting the artists is one purpose of the posts. Also, I hope to show how artists with successful proposals frame their projects and/or artistic practice. I have been able to see themes in the reasons project proposals are successful since serving as the staff liaison to the OVAC Grants Committee and writing organizational grant applications for more than 11 years. This is not an exhaustive list, but is to show some of the most consistent qualities of winning grant proposals. 1. Show planning on the part of the artist. Unlike artists who need to explore and experiment, funders are not interested in chucking money at ideas that may or may not be completed. Funders want to support things that are going to happen and are likely going to be put together well. Basically, OVAC, like other funders, has limited funds to give away in each area, so must prioritize who gets support. 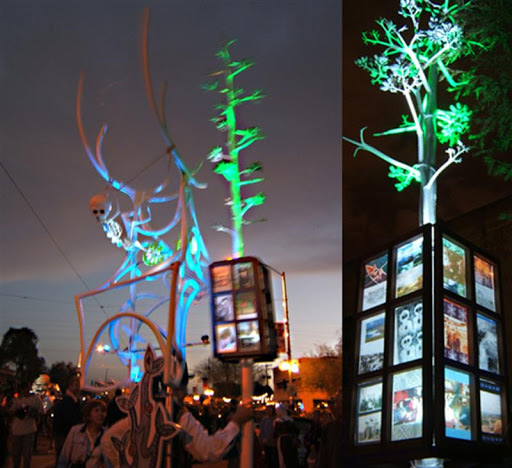 In each category, the Grants Committee literally ranks the artists “ability to complete the project” as demonstrated through the proposal components. Grant applications show planning through thoughtful budgets and timelines, complete responses to questions posed, and realistic plans for venues or other showing of the work. funded in part through an OVAC Creative Projects Grant. 2. 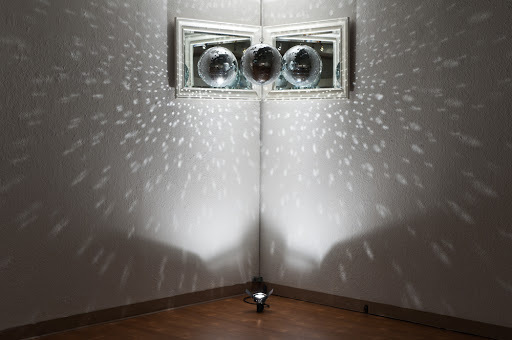 Demonstrate the project makes sense for the artists’ practice. Since OVAC’s goal is to support artists at key stages of their artistic practice, criteria include the appropriateness and the career-altering nature of the project for the artist. 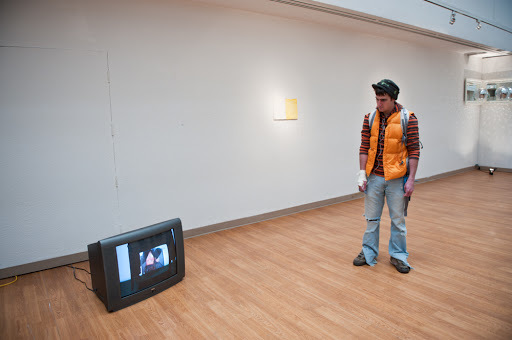 Proposals demonstrate this suitability through the connection of the narrative description and the artists’ own resume. So, for instance, in the recent series of grant recipients, Tammy Brummell made a good case that the Girlie Show is an appropriate venue for her, connecting her to needed audiences and a new peer network. The committee could see from her resume that this is a new direction for her work. Conversely, if an artist brand new to showing artwork submitted a request to fund a large-scale solo exhibition and public sculpture, the committee likely would question the fit of the project for that artist. It’s not that the committee questions whether the artist can fulfill their dreams, just that they have to wonder if he/she has the background to deal with the scale and materials. It might be better for the artist to apply for a project that is an intermediate step toward this ambitious goal. Carl Shortt leads Artist Survival Kit workshop about photographing your artwork. 3. Include the best possible samples of artwork. I am not sure what more to say about this, other than artists need to make sure images represent the artwork well through their clarity and simplicity. Also, the samples should be relevant to the proposal (i. e. majority weavings if applying for funds to buy a new loom). Applicants cannot expect the reviewers to make conceptual leaps without help, regardless of artistic style. If samples are quite different from the proposal, artists should explain the change or variation (i. e. “this is a new direction for me based on…”). See tips on photographing your artwork here and here. All that being said, in the subjective world of grants, the best you can do is make sure your project is well thought out and you explain it as best you can. See our past series about proposals to read actual past proposals and components. See more grant writing help and places to seek grants, check here. OVAC’s next artist project grants deadline is January 15, then April 15, July 15, and October 15. Paul Bagley sculpture of metal, glass, electronics, and gas lines, will be made in part with the assistance of an Oklahoma Visual Arts Coalition Professional Basics Grant for materials. 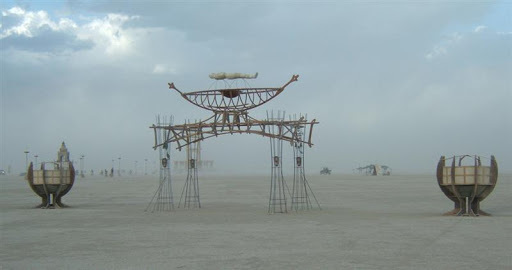 He hopes to find additional funding, then to show the sculpture at Burning Man 2011 and the All Souls Procession. Investigating land art, installation, furniture, and design, Bagley has exhibited and collaborated on projects across the country. He is an Oklahoma City resident. More of his work can be seen on his website, www.paulbagley.com. The Oklahoma Visual Arts Coalition provides project grants to artists to help them start and grow their careers at watershed stages. Discerning individuals and businesses support this program through donations and OVAC’s 12×12 fundraiser. The administration of the program is supported by the Oklahoma Arts Council and Allied Arts. Tulsa-based artist Denny Schmickle is preparing a new body of work to showcase in mid to late summer of 2011. The project will be completed in part with the assistance of an Oklahoma Visual Arts Coalition Creative Projects Grant. 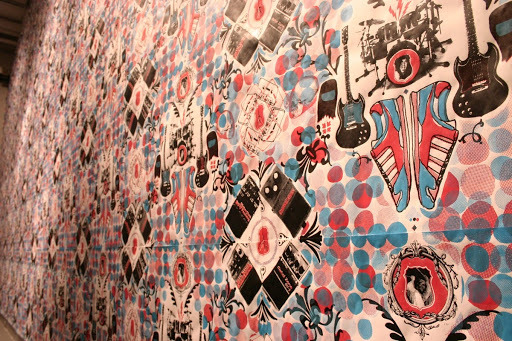 Schmickle’s project will consist of hand-printed wallpaper, large scale mixed-media works on paper, hand printed limited edition books, hand printed t-shirts, and furniture upholstered with hand-printed silkscreened patterns. The Oklahoma Visual Arts Coalition provides project grants to artists to help them start and grow their careers at watershed stages. Discerning individuals and businesses support this program through contributions and OVAC’s 12×12 fundraiser. The administration of the program is supported by the Oklahoma Arts Council and Allied Arts. Deluxe Indie Craft Bazaar characterizes the do-it-yourself entrepreneurship of artists. Started two years ago, the event features and is planned by artists who handcraft what they sell. Many create with repurposed materials, from maps to feathers. 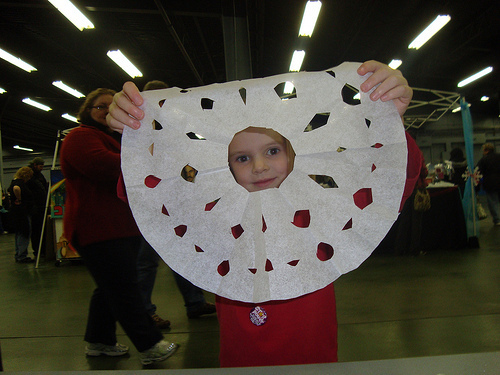 The event is Saturday, December 11 from 11 am until 5 pm on the State Fairgrounds in Oklahoma City. To understand a bit more about the event and the small businesswomen behind it, artists Sara Cowan and JD McCoy, below is a short interview with about the event and the artwork. Q: What inspired you all to start this show and when did it begin? SC: In 2008, a group of women met to plan a holiday craft show, inspired by other great local shows and more famous “indie” shows in larger cities. It was important to us to take elements we loved from other shows, and incorporate our own priorities as well. We wanted it to be family-friendly, 100% handmade and have low booth fees, because we don’t enjoy holding our breath to see if we’ll break even at a show. With a few months of intense work, our first show in December ‘08 was a success. Q: Tell us about your own artwork. SC: My partner in Deluxe, JD McCoy, and I both like to work with textiles. We spend a lot of time developing products that gracefully utilize repurposed garments. For example, she weaves scarves and bracelets made from reclaimed silk sweaters. She also makes custom t-shirt blankets. 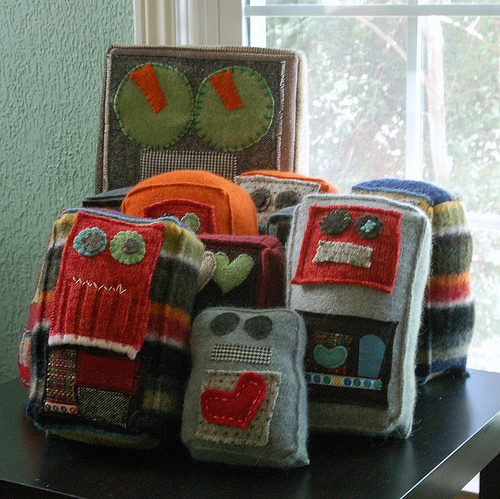 I make stuffed robot pillows from felted wool sweaters and men’s suits. When we share a booth at shows, we call ourselves the Wayward Textile Foundation. Q: I like how you’ve been profiling your artist vendors. What are some commonalities among your vendors in terms of business practices and/or production? SC: Each of our artists designs and produces his or her own items. When you buy something at Deluxe, you can be completely sure that the person who made it is the person selling it to you. Many Deluxe artists also pay attention to ethical sourcing for their materials, and they take care to support local businesses when possible. Q: Any factoids on artists? SC: Most of our artists are from Oklahoma, but we do have some from Texas, Arkansas and Missouri. At least three are under 18, and we have a full range of artist ages all the way up to 70-ish. 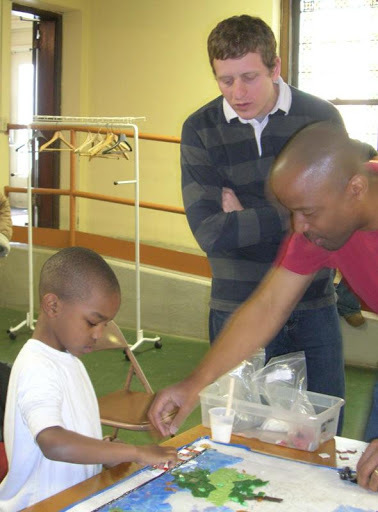 We have 70 artists and 20 community groups at Deluxe, many of whom will be hosting free kids’ craft activities. We’d rather give free spaces to deserving groups than to fill booths with redundant or lower-quality products. Live entertainment runs all day – we’ll have Ferris OBrien broadcasting live on The Spy, a performance by the Oklahoma Children’s Acting Guild, Skating Polly, Balcum Rancum Puppetry and Kris Nickell, with Sugar Free Allstars headlining at 4:00. Q: How do you select artists? SC: Artists submit applications including photos and descriptions of their work. If we are impressed with the originality, quality and marketability of their work, we invite them to participate in the show. As the show grows more popular each year, we receive more applicants, so it’s increasingly competitive, especially for jewelry makers. We start taking applications online in late summer. Q: What has you most fired up about this year? SC: There are plenty of things to be excited about! We’re gaining a loyal following, and so many talented new artists will be joining the Deluxe family. One example is the new addition of handmade Luchador wrestling masks and gear from Shawnee. I was blown away by these fun pieces created by Ron Thompson. His business, Wrestling Wear Galore, has been web-based until now, and I can’t wait for him to enjoy the customer response to his work, which I am sure will be enthusiastic. Products like this ensure that shoppers will find something for everyone on their list, even their hard-to-please post-ironic hipster brothers. Our artists look forward to seeing each other, some say it’s like a reunion of sorts to come to Deluxe. We love facilitating these connections and share in their enthusiasm. I know that this year’s Deluxe customers will be thrilled with our selection of high-quality, useful goods made by locals. Q: What can you tell me about your upcoming show December 3rd at AKA gallery? GK: This will be my first exhibition since moving back to OKC so I’m pretty excited. It will be an extension of my Master’s Thesis work in Buffalo NY this past Spring. 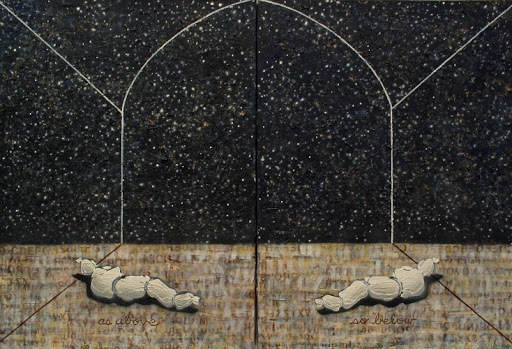 The work is all about the overlap of religion, mythology and conflict. I see interesting parallels between images of the contemporary battlefield, with all its horror, and the allegorical stories that underpin our various faiths. To me, the lessons we draw from religion and myth can also be drawn from current events. Q: What do you do when you aren’t painting? Q: Have you always known you were an artist? GK: Pretty much. My dad is a freelance graphic artist so I grew up surrounded by art. I have been drawing since I can remember. I was lucky to be encouraged and supported by my friends and family throughout my career. Being an artist is not something I recommend for everyone; you have to really believe in what you do. It’s not always easy but it is fulfilling. Q: What inspired you to create the painting titled, The Secret of Hermes? GK: Hermes is the messenger of the Gods in Greek mythology, as well as a guide for newly deceased spirits through the underworld. He also figures heavily in Egyptian tradition regarding the afterlife. His name also gives us the term “hermeneutics” which is the study of interpretation. I have a great interest in death and it’s place in our culture. 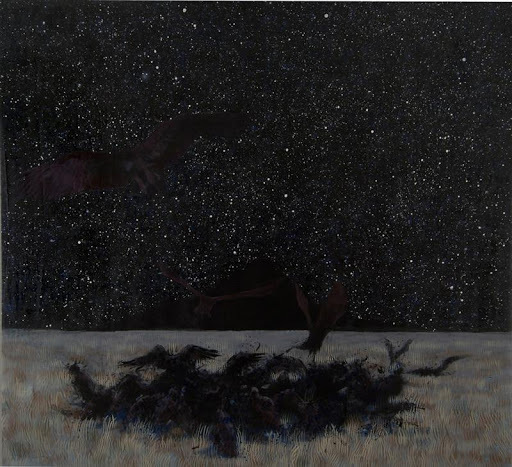 The painting is based on the phrase “As Above, So Below” included in The Emerald Tablet, an important mythological concept in Hermetism and the occult. It describes the inseparability of god and the universe, the mortal and immortal. To me, death is not an end, but part of a cycle that includes life also. One cannot exist without the other. 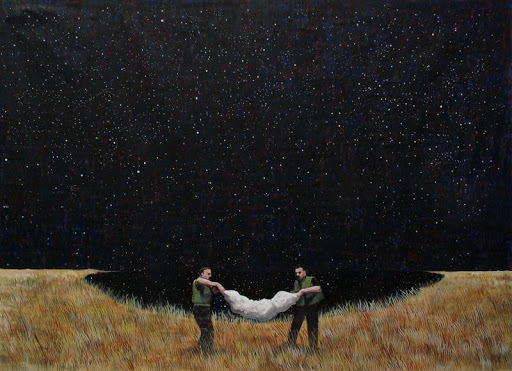 For a long time, I used the image of the wrapped body as a icon of this concept and that painting, with its mirrored dichotomy, is my interpretation of the balance between life and death. That is the secret of Hermes, the ability to exist within both worlds? More importantly, what does the painting mean to you? Q: How did you get involved with the Oklahoma Visual Arts Coalition? GK: I think all artists from Oklahoma have had at least some contact with OVAC because it’s such an integral part of the arts here. I was always including work in Momentum. It’s such an exciting and needed event. Many young artists won’t ever get the opportunity to have work in such a well-received and well-attended show when they’re starting out in their careers. I was also a volunteer and that was a lot of fun, though a lot of work! OVAC has grown so much just in the time I’ve been making art. It’s really amazing. Read more about Geoff on his website. Also, his artwork will be featured in Mainsite Contemporary’s Emergent Artists exhibition December 10-February 5. 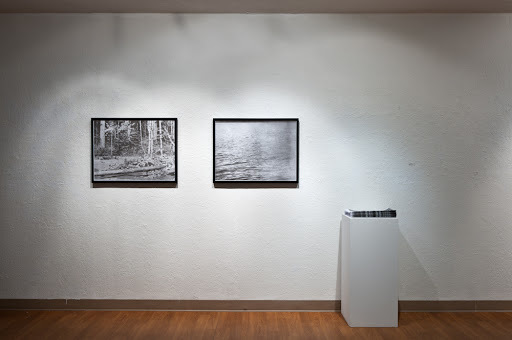 Smoke and Mirrors is an international juried exhibition curated by a group of graduate students at the University of Oklahoma and a project of Liz Rodda’s class on curatorial work. The exhibition officially opens tonight, December 3, from 7-9 pm in the Lightwell Gallery inside the art building at 520 Parrington Oval, Norman. It will continue through December 10. Lindsey Allgood is one of the graduate students who participated in the planning of this exhibition. Lindsey took some time to answer a few questions for us about the project. What is the Smoke and Mirrors project? 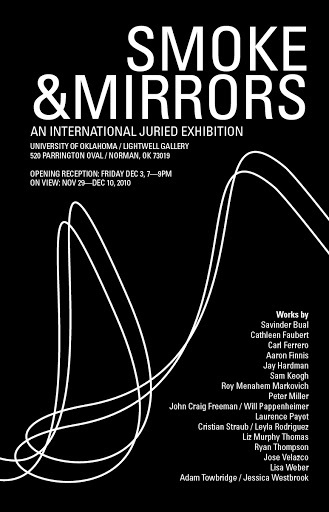 Allgood: Smoke and Mirrors is a juried multimedia exhibit now on display at the Lightwell Gallery in the School of Art & Art History at the University of Oklahoma. A selection of graduate students and Associate Professor Liz Rodda juried from a submission pool of over 150 artists from 17 different countries. How does this project relate to the work you are doing in the class? Allgood: From my perspective as a first year graduate student, this undertaking is far more than a class project. It is a gigantic challenge and was a fantastic learning experience. I now know how to submit a proposal and represent myself on paper as an artist. After spending nearly an hour taping down electrical cords and painting the tape white to make the gallery look as professional as possible during install, I’ve scratched the surface of learning what it takes to curate a show. Tell us a little about the process you and your collaborators went through to organize this exhibition. Allgood: We spent hours reading proposals, scrutinizing tiny details like fonts on the posters, placement of pieces in the space, delegating odd jobs and maintaining professional correspondence with the artists. But every minute is worth it when I see students stop in the gallery on their way to class. What has this project taught you as an artist serving on the other side of things, organizing an exhibition? Allgood: I had the pleasure of driving visiting artist Aaron Finnis to the airport on his way home to San Francisco. He flew out to install his piece, which was an honor considering he studied at the prestigious Goldsmiths art school in London. Our chat was invaluable. He gave me artists to research, extensive feedback on my work and a few life lessons on the drive. These types of experiences allow networking, boost the school’s name and broaden this region’s art genre horizons. I think this show opens new doors for use of the Lightwell Gallery’s space. It is so unique, which could and should draw equally unique and boundary-breaking works. I’ve never seen a show as diverse in media as Smoke and Mirrors at OU. 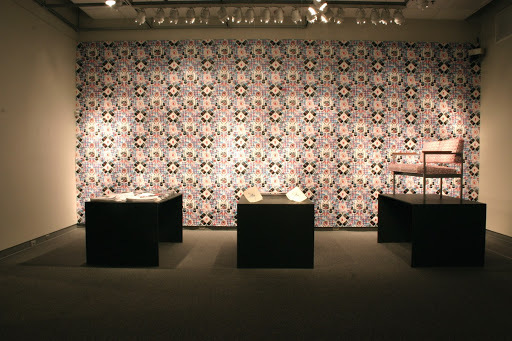 For me, being part of this curatorial class was one of the best decisions I made this semester. Visit www.smokenmirrors2010.com for more about the exhibition.